A couple years ago, I knew NOTHING about cars. They appeared in my life (from my parents) when I needed them. This lovely, but unsustainable situation, disappeared with the passing of my folks. I had to learn about a subject that interested me as much as fantasy football. Two years later, I am a used car buying guru. As a follow up to my post about free car repair via recalls, here are ten key websites that I have found necessary to educate myself prior to buying an “out of warranty” vehicle. Entering the arena of “over 8 years old or 100,000 miles” is tricky. You have to know things you never even thought about, like: how much should you pay for the car, what problems do people have with this make and model, and what is the previous owner not telling me? Edmunds.com. Without a doubt, this is the site I go to the most. Search for the year, make, and model of car. You well get pictures (inside and outside), prices to buy and sell, reviews, and options that come standard or add-on for that model. Kelly Blue Book (kbb.com). The standard for pricing in the used car industry. I find it interesting that the prices on KBB are always much higher than the prices at Edmunds. I always print out both and take them with me. This helps me negotiate a better price. Craigslist. Still the best place to look for used cars being sold by owners in your area. I would NEVER buy a car that had to be shipped. Recycler. If you are in Southern California, this was THE place to find used cars prior to Craigslist. Still has a pretty good supply of cars for sale. Recalls.gov. The government site that lists recalls on cars. Similar to the site where I found out I could get my car fixed for free. CarMax.com. A great place to find newer used cars. It is very easy to look at lots of different cars there. 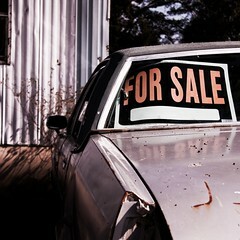 I find the cars overpriced, but there is no haggling, and you can buy a warranty if you want. The cars tend to be in pretty good shape, but check each listing carefully. CarParts. You can buy your replacement parts YOURSELF. You don’t HAVE to buy them marked up 200% from the dealer. Check out this site to see if you can find a replacement for your little broken gizmo. AutoTrader.com. A huge online car trading site. Traveling Mom. Car reviews from a mom perspective. These review look at things that aren’t normally noticed in regular reviews. Mostly new cars, but someday, that new car will be a used car. How Stuff Works. If you are just starting out learning about cars. Check out these very comprehensive pages on how a car works. It is much easier to buy a car if you understand how it works. I hope these sites help you. Good luck. May the car buying forces be with you. Thanks, Bobbi. Good info, as always. I’ll be emailing this post to my grandsons!